Okay, I have to say that I absolutely love Bob Deffinbaugh's humor over at bible.org! Check out his commentary on Genesis chapter 46, with the awesome title of "Life Begins at 130" at this link. I love it! Bible.org's commentary on Genesis chapter 47 titled "A Proper Perspective of Poverty and Prosperity" is at this link. New Testament - In Matthew chapter 15 today we read about Jesus confronting the Pharisees on their "age-old traditions." 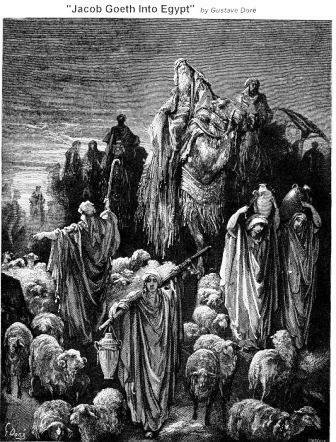 I read in Zondervan's & Tyndale's commentaries that after the Babylonian exile (we'll read about the exile late this year in the One Year Bible), Jewish rabbis began to make meticulous rules and regulations governing the daily life of people. And that these rules were added to God's law and were essentially elevated to the same sacred status by the Pharisees. In 200 A.D. these traditions of the elders were put into writing in the Mishnah. I think what Jesus gets at here in this chapter is that the Pharisees were allowing the "rules & regulations" to overshadow the spirit of God's law. They were not honoring their parents because of the practice of Corban - giving $ to the temple. Which, giving $ to the temple is a good thing... but at the expense of the great thing of caring for your parents? I know we all could probably go round and round on what is the greatest good - how should we spend our time and our money and our lives. 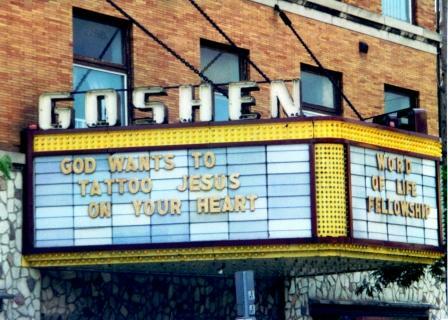 I like that Jesus basically takes it to the heart. What is the heart of the matter? No matter what the matter is - taking care of your parents, giving to your church, obediently following God's will, receiving God's grace - what is the heart of the matter? One thing that I have been so blessed to learn over the past few years is that the condition of our hearts matters. Immensely. The motives of why we do something - anything - matters. Immensely. We are called in Proverbs to "guard our hearts, for it is the wellspring of life." If we do not care for the state of our hearts, we can become very regimented or insensitive in our thinking and doing. We might even get to the point in verse 8 of this chapter where Jesus quotes from Isaiah: "`These people honor me with their lips, but their hearts are far away." How is the state of your heart today? Is it close to God? Does your heart yearn for Jesus? 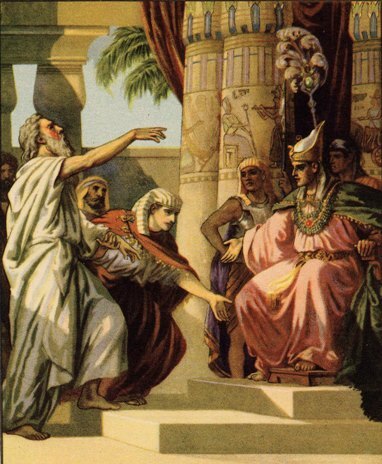 Bible.org's commentary on today's readings in Matthew chapter 15 titled "Jesus and the Traditions of the Elders" is at this link and "The Faith of a Canaanite Woman" is at this link. 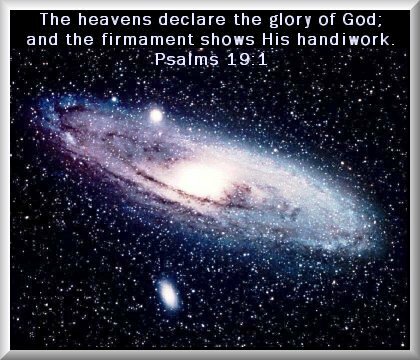 Psalms - Today we read Psalm 19, which is one of my favorite Psalms! In large part this Psalm is one of my favorites because one of my former pastors taught from this Psalm 3 a few years ago in such a powerful way. Have you had this type of experience? Where you hear a sermon on a chapter of the Bible and then that chapter becomes one of your favorites? I do hope that this One Year Bible experience will allow you to tune-in a little bit more whenever you hear your pastors or ministers or priests teaching you from the Bible in church. I know this is the case with me. Thanks to reading the Bible each day, I now have better context of what is being taught from the pulpit and it makes going to church a richer experience overall. I also now often catch some Bible verses in the worship songs or hymns we sing as well. And this adds a lot to my worship of God now through music. This year, as you go through the One Year Bible and as you go to church, will you tune-in to the sermons and the songs in church more than ever and look for and appreciate how they tie in to the Bible? 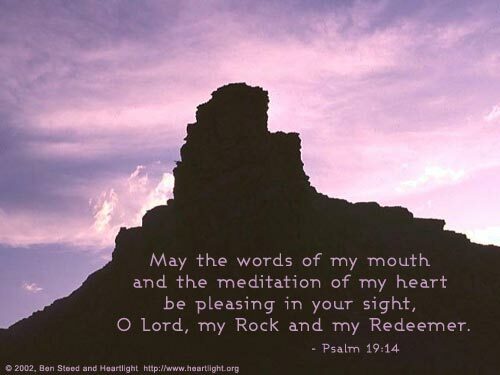 Back to Psalm 19 – I do encourage everyone to really read through and meditate on every verse in this Psalm of David and how this Psalm might be speaking to you this week. Please do take a few minutes to go through the Psalm twice if possible and really reflect upon it. You may even want to journal to God some thoughts or ideas or prayers that come to you through reading this Psalm. I find verse 14 in this Psalm to be so powerful – again in large part because one of my former pastors often sang a worship song that simply repeats this verse over and over again – and what a beautiful prayer it is for each of us to repeat over and over again as well: “May the words of my mouth and the meditation of my heart be pleasing in your sight, O LORD, my Rock and my Redeemer.” Are the words of your mouth and the meditation of your heart pleasing in God’s sight? Is God your Rock? Is God your Redeemer? Bible.org's commentary on Psalm 19 is at this link. Proverbs - Proverbs 4 verse 18 reminds me of Psalm 19! "The way of the righteous is like the first gleam of dawn, which shines ever brighter until the full light of day." See the parallel? 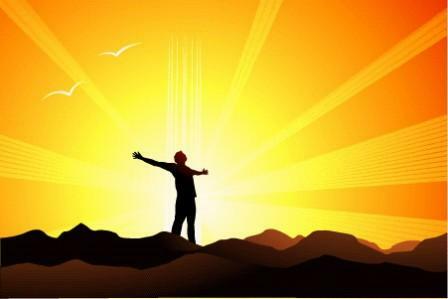 Is your life shining ever brighter as you go forward in life? Are you shining ever brighter for those around you? Are you loving and blessing those around you more and more each day? Are you moving forward toward the full light of day? Worship God: Today's readings in Psalm 19 and Proverbs 4:18 reminds me of the fantastic Matthew West song "More!" Do you know our God of More? Click here for More! Prayer Point: Pray that the words of your mouth today would be pleasing in God's sight. Pray that the very meditations of your heart today would be pleasing in His sight. Pray that you would know and experience Jesus as your Rock and your Redeemer this very day. Comments from You and Questions of the Day: In Matthew 15 verses 10 & 11 today we read: "Then Jesus called to the crowd to come and hear. “Listen,” he said, “and try to understand. It’s not what goes into your mouth that defiles you; you are defiled by the words that come out of your mouth."" Do you agree with these words of Jesus'? Are you cognizant of the words that come out of your mouth on a moment by moment basis? Have you ever had to conscientiously change the words that come out of your mouth because they were not blessing others? Do you use profanity? (or am I being a Pharisee by even asking this question... :) I think it's a fair question - does profanity come out of your mouth? Do you think this is pleasing in God's sight? (Psalm 19:14) Also, what verses or insights stand out to you in today's readings? Please post up by clicking on the "Comments" link below! What I have learned in today’s reading is this, God can come along, change my name after I wrestle with Him, and prevail; however, afterwards, I may act like a “Jacob” but He, God, will still call me Israel. God is a God of His Word even though I may not be a woman of my word. SO ISRAEL made his journey with all that he had and came to Beersheba [a place hallowed by sacred memories] and offered sacrifices to the God of his father Isaac. [Gen. 21:33; 26:23-25.] And God spoke to Israel in visions of the night, and said, Jacob! Jacob! And he said, Here am I. And He said, I am God, the God of your father; do not be afraid to go down to Egypt, for I will there make of you a great nation. I can be given a promise and after having waited and waited for it to be fulfilled, afraid that I will die before I see it happen, God will always come back to confirm His Word while He comforts me with these words, “Do not be afraid” (46:3). God will fulfill His promises in the environment He has chosen and in the “nation” He decides. 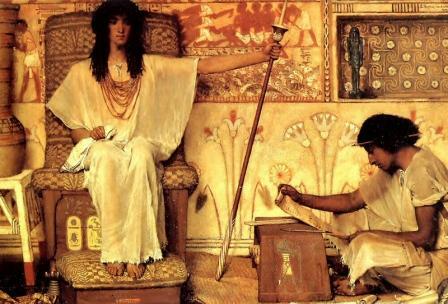 Joseph was 30 when he became Pharaoh's official. 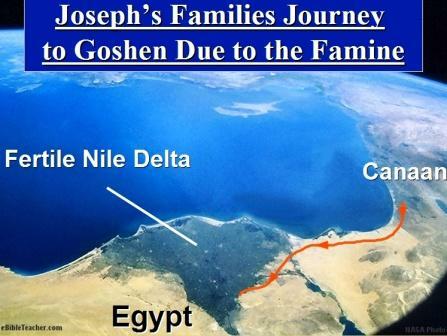 Seven years of good harvest plus two years of famine happened before Joseph brought Israel to Egypt. Benjamin was the smallest son of Israel. According to the above bible verse, Benjamin should have married early and had sons. What happened to the Daily Audio bible, I got some man from a radio in canada? yes there is a problem with the audio I am going to miss the old way of hearing the words read fro m the bible. I like the story about joseph because its my favorate,its all about the family so when i read the story i cried. Then the song i like it by Mathew West., Hello Mathew? i like your song. I know I have been there at a time of needing God's reassurance and upon praying and "waiting" for things to come to pass in Gods timing and not mine..things have come about in my life that were God's will for me at that time. When I rush it or try to put myself in a place that God has moved me away from..then things don't come about as pleasant and usually lead to heartache and disappointment. We just have to be willing and obedient and have discernment when it comes to God's plan for our life. I know that God said that He will bless the ones that bless you and curse the ones that curse you (spoken to Abraham in Gen 12:1) maybe Jacob was just blessing them because he knew he was getting a supernatural blessing that doesn't come from man's hand but the Man of God, and that Jacob was blessing Pharoah on God's behalf and blessing him as a humble man would who feels undeserving but priviledged to be given a right of passage to their land.